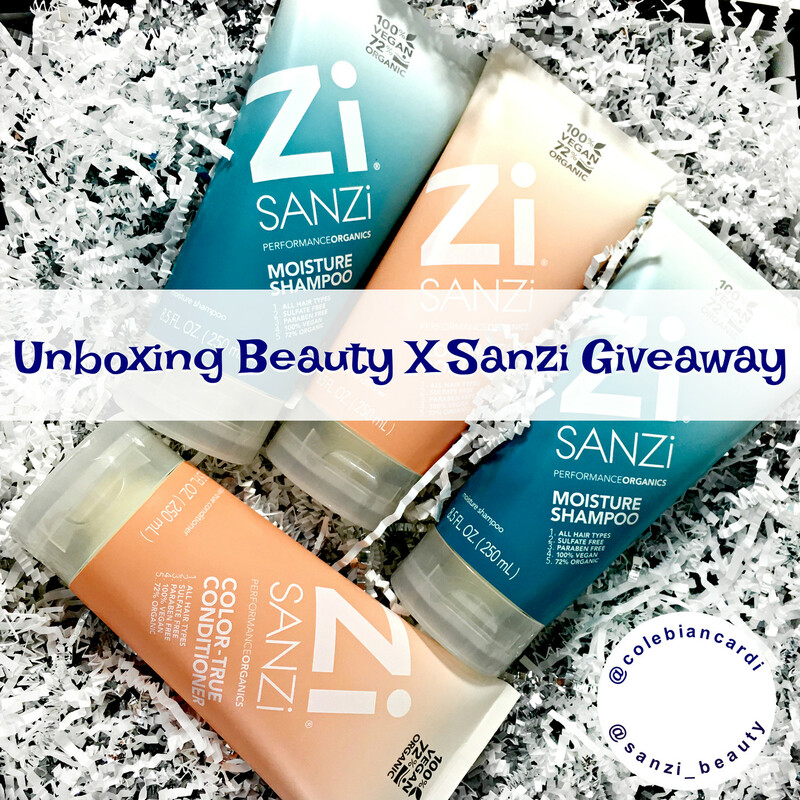 The other month, Sanzi Performance Organics reached out to me to see if I would be interested in trying their hair care products. I reviewed their website and I really liked what I saw, so I accepted to try out their Organic Moisture Shampoo and Organic Color-True Conditioner, which are their only products at this time. They are planning to roll out more items in the near future. 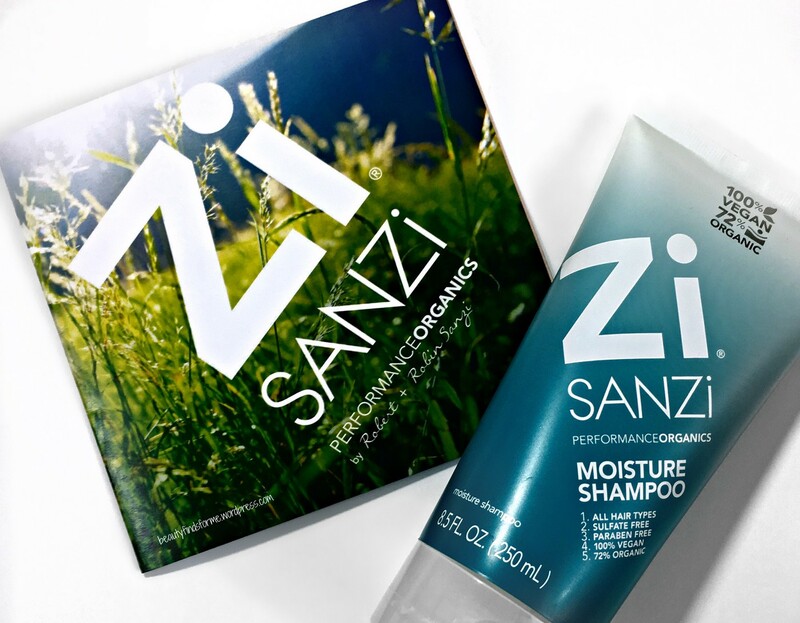 Sanzi Performance Organics is an exclusive line of hair care products that are created by award winning master stylist, Robert Sanzi. This company is family owned, circa 2008 when Robin Sanzi encouraged her husband, Robert, to create a color-safe, sulfate, chemical free hair care line. The original shampoo was an instant hit and he has gone on to create a conditioner as well. 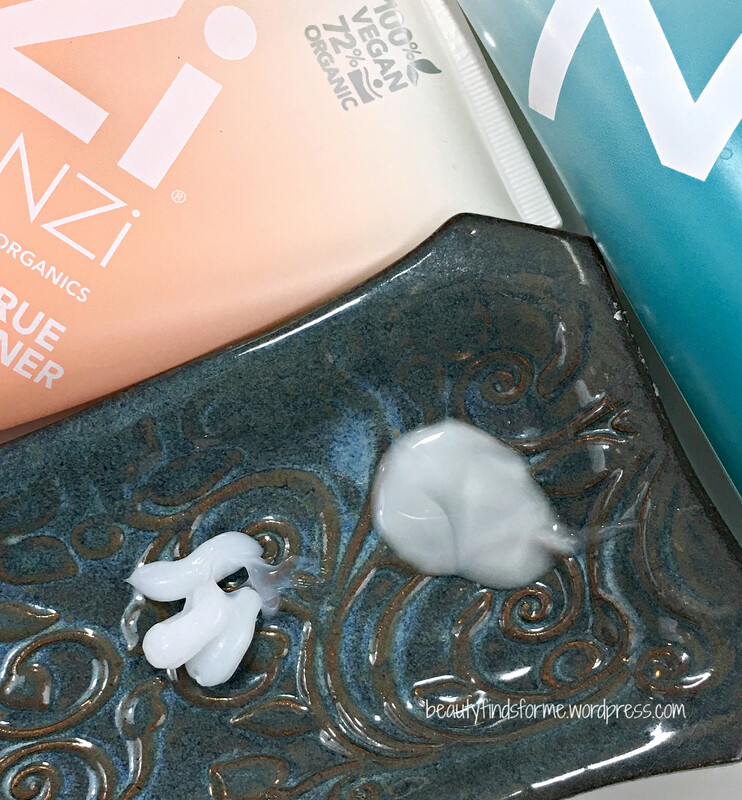 Sanzi Performance Organics uses products that are organic and healthy, non-toxic and keeps our Earth clean and safe. 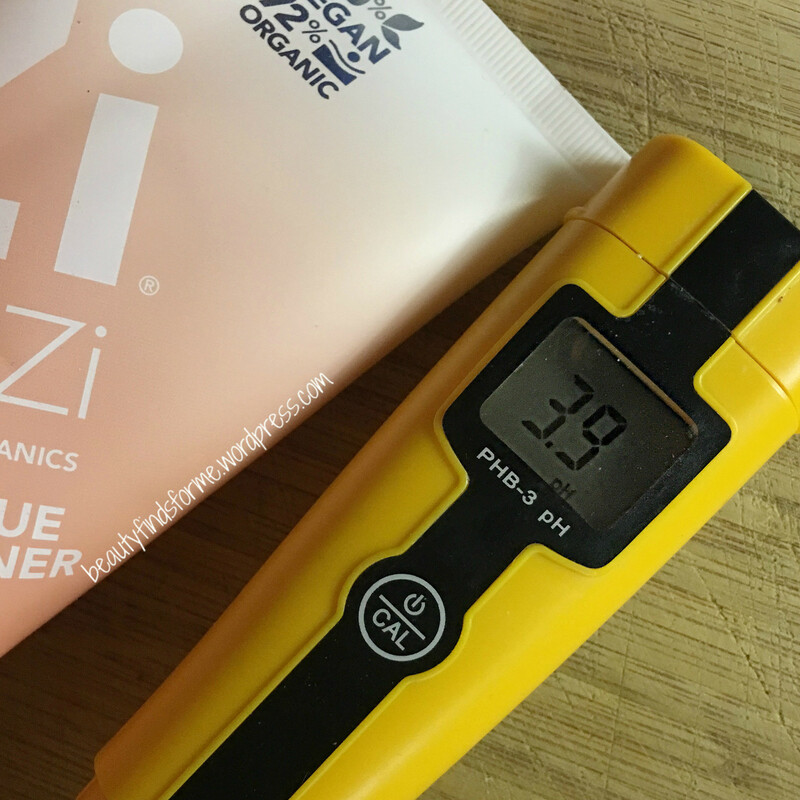 All of Sanzi Hair Care products are 100% vegan, cruelty free, not tested on animals and are biodegradable. They are free from sulfates, gluten, parabens, phthalate, BHT, and artificial colors. Organic Moisture Shampoo Their Moisture Care Shampoo uses sulfate free blend of surfactants, called Iselux®, which creates a dense, luxurious foam, while gently cleansing and rinsing clean. It also helps prevent fading if you color your hair ~ 90% plus color retention after 1 month. They also contain natural fruit extracts which form AHA’s to help cleanse your scalp and unclog hair follicles, allowing for greater hair growth and adding shine to to your hair ~ this multi-fruit acid BSC complex is a blend of bilberry, sugars and citrus fruit extracts. It also contains a slew of amino acids (Arginine, Glycine, Sodium PCA, Alanine, Serine, Valine, Proline, Threonine, Isoleucine, Histidine, Phenylalanine) that have been combined into a formula called Prodew ®500. This amino acid blend complex will help strengthen, repair and moisturize your hair, while providing color protection. This is 72% organic shampoo also contains organic aloe vera leaf juice for optimal hydration. 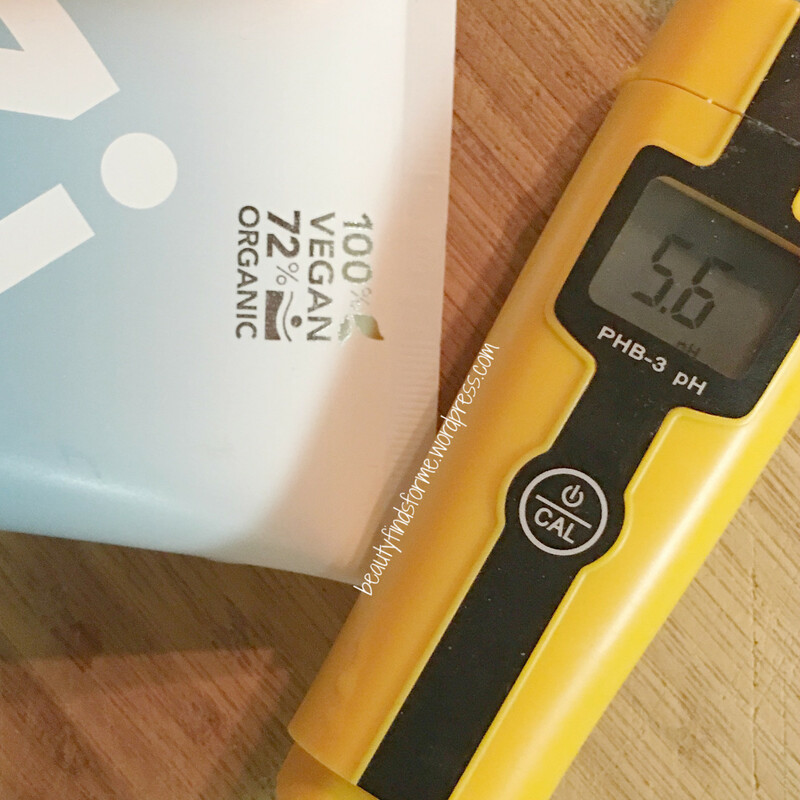 Several ingredients in this product are 100% certified organic ~ sugar cane, coconut oil and vitamin E. I was really impressed by the foam and lather from this shampoo ~ for a sulfate free shampoo, it certainly didn’t act like it! I also love the scent ~ it is like having a fresh citrus and berry bowl and just smells divine. The scent is an exclusive formula, made from botanicals and is safe for all hair types ~ this can also be used as a body wash too. Even though its name does not mention that it is color-safe, it is. I did a pH test on this as the claims are 4.5 to 5.5 and I got a 5.6, which is within range ~ I always give a .1 or .2 variation. I already spoke to the cleansing and conditioning performance on each product, so now I will speak to the color-safe performance. I have lots of baby fine, oily straight hair that grows VERY fast and is graying even faster. I color my hair monthly and touch up my roots during the month, as I am very silver around my temples. I shampoo and condition daily along with blow drying my hair. I do not use any other chemical or heat treatments. Since my hair grows so fast, I normally do not use a color safe hair care product as I thought they were a waste of time. 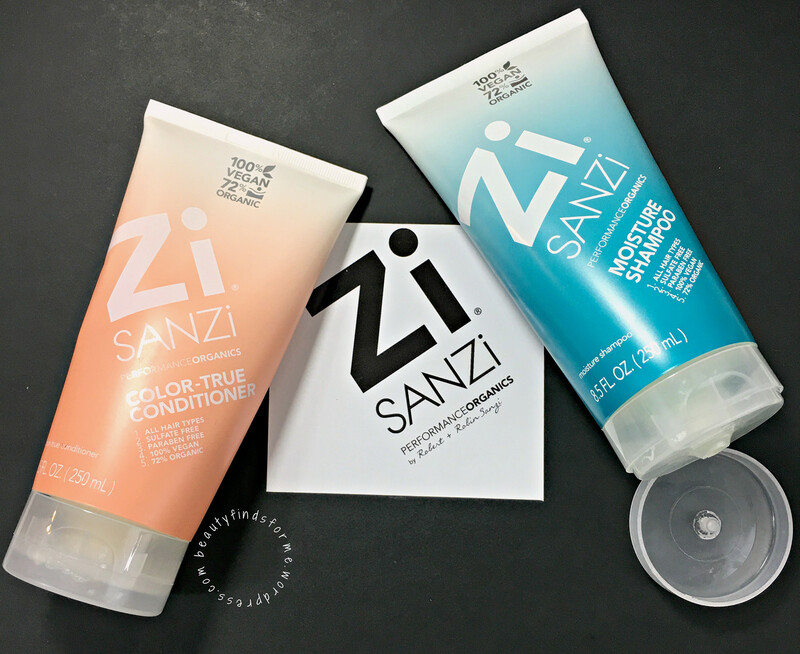 I put Sanzi products to the test. On November 20, 2017, I colored my hair. The color I use has a lot of reddish tones in it, and red colors do fade very fast. On December 8, 2017, other than my hair growth, I honestly did not see any major fading at all. This is 19 days, almost 3 weeks since my hair coloring. 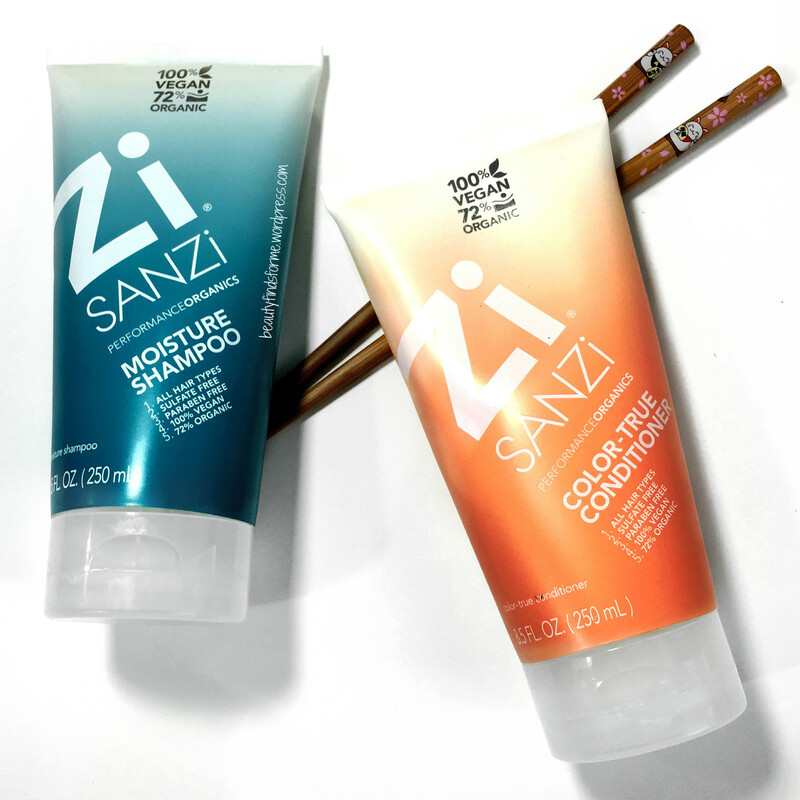 I am VERY impressed with these hair care products ~ they cannot stop my fast hair growth, but Sanzi hair care products did prevent fading. I did not have to use a root touch up product! 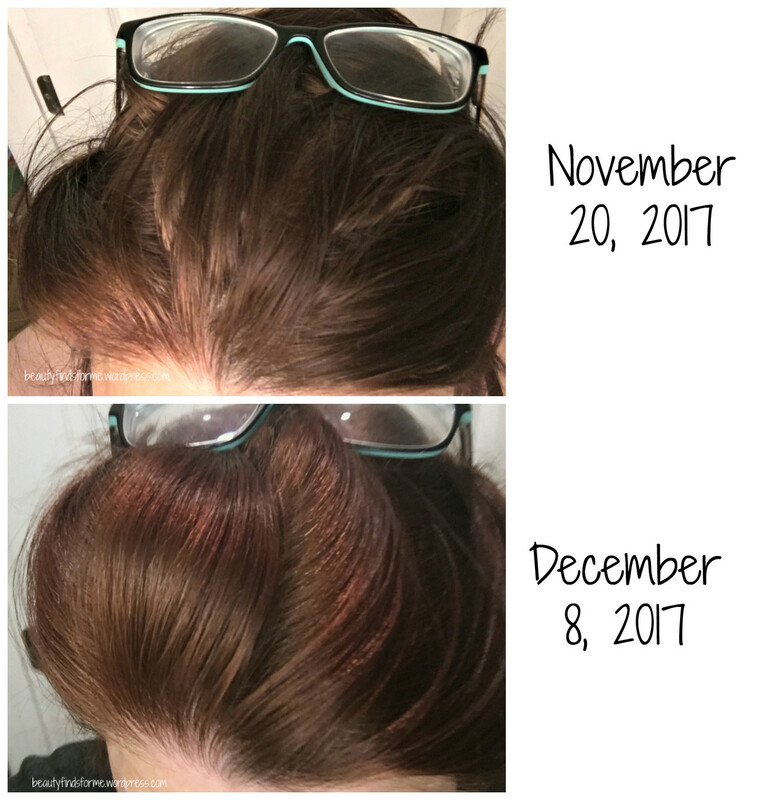 My hair does look fuller on the December 8th photo, but that is because the November 20th photo is right after coloring my hair ~ and I had let my hair air dry ~ now you know why I blow dry my hair all the time 😉 Many thanks to Robert at Sanzi for sending me these products to try out! At Sanzi Beauty ~ they currently only have the two hair care products, but as I mentioned, they do have plans for more hair care products soon! Shipping is always free in the USA and they do ship internationally as well ~ check their website for rates. You can save 20% if you subscribe to have these items delivered on a regular basis. At checkout, just check the Subscribe and Save radio button and they you can choose the frequency of delivery. Currently Sanzi is offering a savings of on one time purchases for the Holiday ~ use promo code HAPPY1 to save 20% if you purchase one item or promo code HAPPY2 to save 30% on 2 items. Use the Entry Link below to enter via Rafflecoper. This will open a new page with the entry form. This is legit as my copy of wordpress does not allow me to embed the entry form directly into my blog. All entries will be verified and anyone who has multiple accounts will be disqualified. Qualified entry will then be randomly drawn. beautyfindsforme is not responsible for damages due to shipping, lost, stolen packages or any other issues. Once the parcel is mailed out, it is out of my hands. The winner is responsible for verifying the products and their contents and to determine the suitability of those products for their own needs. beautyfindsforme is not responsible for the actual products and ingredients. You must be 18 years of age or older or must have the express permission of a parent or legal guardian to enter and receive the prize. Please ~ would love it if you would post photos of your prize on IG and/or Facebook so people know where you got these great products! And that I am legit in offering giveways! To Enter, Click on this link or the image and follow the instructions! This contest will end on December 26th, 2017 at 11:59 pm EST. Some of the entries you can do daily, so enter more often for a greater chance to win! Unboxing December 2017 Yogi Surprise Jewelry Box + Promo Code & Next Month Spoilers! My hair gets damages by being in the pool every day, it needs more moisture. My main hair concern is hair loss. My main hair concern is thin hair…drives me crazy! I already have a hair loss issue so can I use it? or It creates more problem for me. Please give me so suggestion. Thank you in advance. I cannot help you with that – I don’t have hair loss issues, so perhaps looking into a scalp treatment (tonic) would work for you? All content belongs to Unboxing Beauty Finds For Me unless otherwise noted. 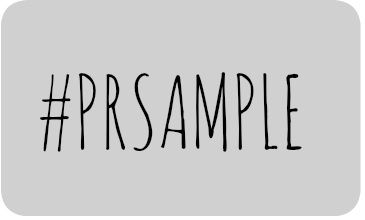 If you would like to use or reproduce my work, ask for permission first.